where we filled up on a good hot meal and came back to a fire in the wood stove and movies on roku in CeeCee’s main house. CeeCee even offered free glasses of Merlot. Great idea! Tomorrow we plan to slack pack 12 miles and stay here again as the rain is predicted to be even harder and all day. Slack packing is when you take only what you need for a day hike and a shuttle picks you up and brings you back to your stuff. At this hostel, they drop you twelve miles north and you hike southbound back. It’s much faster, and we are excited to have a chance to make miles in less time. There were two nice days I was off trail to meet Melynn and to watch my niece, Charlotte (#17), play lacrosse at college not far from the trail. They are first in their conference and whooped the opposition. Great game! Never the less, most thru hikers still come to camp happy they are hiking the AT and I am definitely in that group! I just know the trees on top of the mountains will eventually leaf out with warm spring days. Right now the trees are not even pushing bud. One day soon I won’t believe it was cold for so long, but now the last freezing night was only five days ago when we awoke to 27 degrees, frozen water bottles and wind so cold and harsh I thought the left side of my face was heading for frostbite. So, the rain is terribly unpleasant and it’s hard not to be too cold or too hot as you fend off rain in rain jackets and pants, while your inner core temperature shoots up with the effort of hiking mountains, but… it hasn’t been lower than 43 degrees or so since that last very cold night five days ago. The “warmer” temps give me hope we will soon be hiking in sunny days with spring all around us. In the meantime, I hope Melynn isn’t too bummed out about the rain as it looks like we have a few more days of rain before the sun will come out and give us a day anyone would be glad to say “Yes, let’s go for a hike!” If anyone else wants to join me for a few fun days in the trail, check out my tracker on the mail drops page and let me know when to look for you! 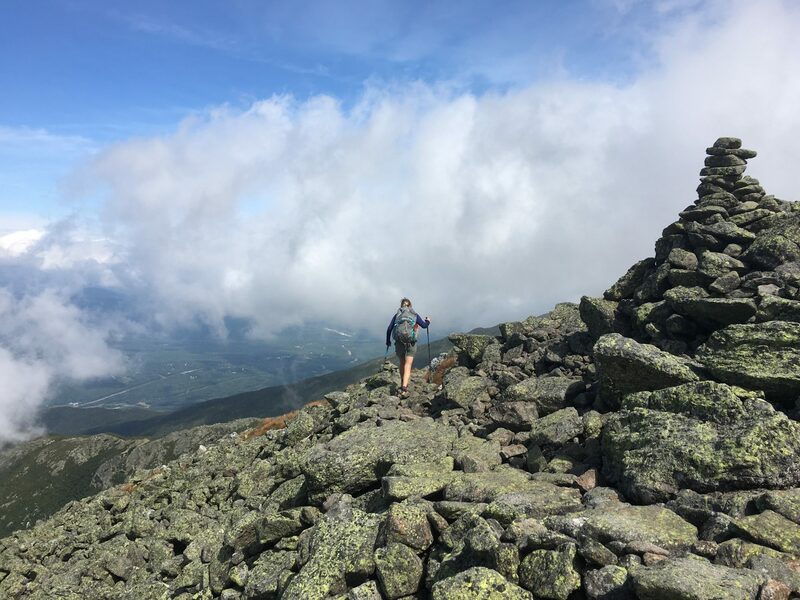 After years of talking to potential hiking partners about hiking the Appalachian Trail, it became clear no one I knew was really serious about hiking all 2,189 miles of it in one season. I realized I was going to have to tackle this goal on my own and that’s when I fell into limbo. Without anyone with whom to coordinate, I didn’t know when to start this long hike. My husband suggested going sooner rather than later. His reasoned the longer I waited, the better the chance I would never go at all. I took a hard look at what would be different about hiking in 2018 instead of a year or two later. The only disadvantages for going the very next season all had to do with money. Saving more money for the trip and current financial obligations were at the heart of every reason to wait. I’m a certified financial planner, with decades of experience helping people reach financial goals. I know a thing or two about money, and two things I know for sure. First, you can always use more money. Second, you will always find a way to have money for what you truly want. I fretted about it for a few more days, and then decided my husband was right. If I waited a few more years trying to have “enough money” it was likely my dream would stay a dream and I would never go. It was time to set a date and figure out how to make the money work out. I chose March 2018 and began researching how to prepare. Ironically, within a week I had a bona fide hiking partner also committed to go the entire distance! Ten days after she joined me committed for the entire journey and now we have a third partner who will hike at least the first month. I spent all those years searching for a hiking partner, when all I needed to do was commit to my dream and state my intention to those around me. A couple months later the financial end worked itself out, too. I found ways to cut costs and to save more money. I was inspired to spend less on everyday items. Over time I became inventive in earning a little bit extra here and there. Now I have both a team and “enough” money. Funny how the definition of enough changes when it is no longer an excuse, but a part of your mission. Whatever your dream, making it part of your life comes when you commit to the dream and take action. For me, the turning point was choosing a date and declaring I would go. I don’t know what it will be for you, but I hope you take the steps to make your dream become your life, too.